Guinea pigs (Cavia porcellus) are small rodents raised in the South American Andes mountains not as friendly pets, but primarily for dinner. Called cuys, they reproduce rapidly and have large litters. Today guinea pig feasts are connected with religious ceremonies throughout South America, including feasts associated with Christmas, Easter, Carnival, and Corpus Christi. Modern domesticated adult Andean guinea pigs range from eight to eleven inches long and weigh between one and two pounds. They live in harems, approximately one male to seven females. Litters are generally three to four pups, and sometimes as many as eight; the gestation period is three months. Their lifespan is between five and seven years. Guinea pigs were domesticated from the wild cavy (most likely Cavia tschudii, although some scholars suggest Cavia aperea), found today in the western (C. tschudii) or central (C. aperea) Andes. Scholars believe that domestication occurred between 5,000 and 7,000 years ago, in the Andes. Changes identified as the effects of domestication are increased body size and litter size, changes in behavior and hair coloration. Cuys are naturally gray, domesticated cuys have multicolored or white hair. Since both wild and domestic forms of guinea pigs can be studied in a laboratory, behavioral studies of the differences have been completed. Differences between wild and domestic guinea pigs are in some part behavioral and part physical. Wild cuys are smaller and more aggressive ​and pay more attention to their local environment than domestic ones and wild male cuys do not tolerate each other and live in harems with one male and several females. Domestic guinea pigs are larger and more tolerant of multi-male groups, and exhibit increased levels of social grooming of one another and increased courtship behavior. In traditional Andean households, cuys were (and are) kept indoors but not always in cages; a high stone sill at the entrance of a room keeps cuys from escaping. Some households built special rooms or cubby holes for cuys, or more typically keep them in the kitchens. Most Andean households kept at least 20 cuys; at that level, using a balanced feeding system, Andean families could produce at least 12 pounds of meat per month without decreasing their flock. Guinea pigs were fed barley and kitchen scraps of vegetables, and the residue from making chicha (maize) beer. Cuys were valued in folk medicines and its entrails were used to divine human illness. Subcutaneous fat from the guinea pig was used as a general salve. The first archaeological evidence of the human use of guinea pigs dates to about 9,000 years ago. They may have been domesticated as early as 5,000 BC, probably in the Andes of Ecuador; archaeologists have recovered burned bones and bones with cut marks from midden deposits beginning about that time. By 2500 BC, at sites such as the Temple of the Crossed Hands at Kotosh and at Chavin de Huantar, cuy remains are associated with ritual behaviors. Cuy effigy pots were made by the Moche (circa AD 500-1000). Naturally mummified cuys have been recovered from the Nasca site of Cahuachi and the late prehispanic site of Lo Demas. A cache of 23 well-preserved individuals was discovered at Cahuachi; guinea pig pens were identified at the Chimu site of Chan Chan. Spanish chroniclers including Bernabe Cobo and Garcilaso de la Vega wrote about the role of the guinea pig in Incan diets and ritual. Guinea pigs were introduced into Europe during the sixteenth century, but as pets, rather than food. Remains of one guinea pig were recently discovered within excavations at the town of Mons, Belgium, representing the earliest archaeological identification of guinea pigs in Europe--and similar in time to the 17th-century paintings which illustrate the creatures, such as the 1612 "Garden of Eden" by Jan Brueghel the Elder. The excavations at the site of a proposed parking lot revealed a living quarter which had been occupied beginning in medieval times. The remains include eight bones of a guinea pig, all found within a middle-class cellar and adjacent cesspit, radiocarbon dated between AD 1550-1640, shortly after the Spanish conquest of South America. The recovered bones included a complete skull and the right part of the pelvis, leading Pigière et al. (2012) to conclude that this pig was not eaten, but rather kept as a domestic animal and discarded as a complete carcass. History of the Guinea Pig from archaeologist Michael Forstadt. Asher M, Lippmann T, Epplen JT, Kraus C, Trillmich F, and Sachser N. 2008. Large males Behavioral Ecology and Sociobiology 62:1509–1521.dominate: ecology, social organization, and mating system of wild cavies, the ancestors of the guinea pig. Gade DW. 1967. The Guinea Pig in Andean Folk Culture. Geographical Review 57(2):213-224. Künzl C, and Sachser N. 1999. The Behavioral Endocrinology of Domestication: A Comparison between the Domestic Guinea Pig (Cavia apereaf.porcellus) and Its Wild Ancestor, the Cavy (Cavia aperea). Hormones and Behavior 35(1):28-37. Morales E. 1994. The Guinea Pig in the Andean Economy: From Household Animal to Market Commodity. Latin American Research Review 29(3):129-142. Pigière F, Van Neer W, Ansieau C, and Denis M. 2012. New archaeozoological evidence for the introduction of the guinea pig to Europe. Journal of Archaeological Science 39(4):1020-1024. Rosenfeld SA. 2008. Delicious guinea pigs: Seasonality studies and the use of fat in the pre-Columbian Andean diet. Quaternary International 180(1):127-134. Sachser N. 1998. Of Domestic and Wild Guinea Pigs: Studies in Sociophysiology, Domestication, and Social Evolution. Naturwissenschaften 85:307–317. Sandweiss DH, and Wing ES. 1997. Ritual Rodents: The Guinea Pigs of Chincha, Peru. Journal of Field Archaeology 24(1):47-58. Simonetti JA, and Cornejo LE. 1991. Archaeological Evidence of Rodent Consumption in Central Chile. Latin American Antiquity 2(1):92-96. Spotorno AE, Marin JC, Manriquez G, Valladares JP, Rico E, and Rivas C. 2006. 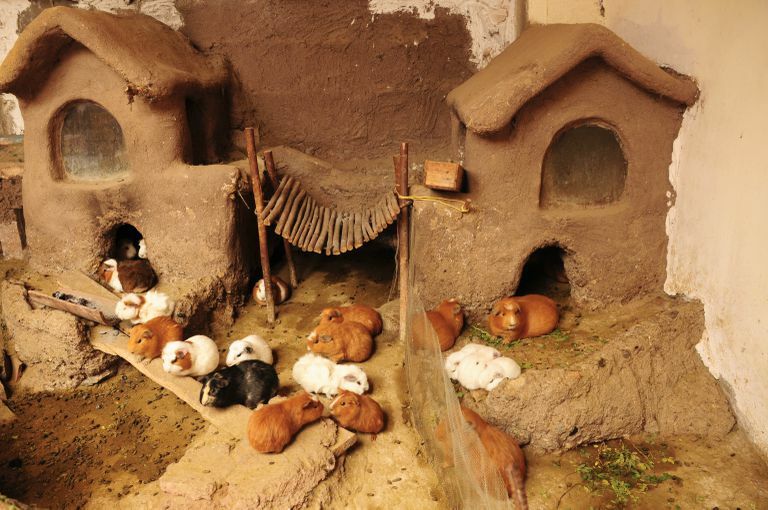 Ancient and modern steps during the domestication of guinea pigs (Cavia porcellus L.). 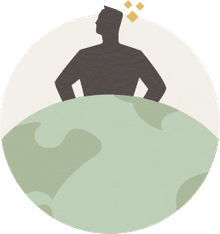 Journal of Zoology 270:57–62. Stahl PW. 2003. Pre-columbian Andean animal domesticates at the edge of empire. World Archaeology 34(3):470-483. Trillmich F, Kraus C, Künkele J, Asher M, Clara M, Dekomien G, Epplen JT, Saralegui A, and Sachser N. 2004. Species-level differentiation of two cryptic species pairs of wild cavies, genera Cavia and Galea, with a discussion of the relationship between social systems and phylogeny in the Caviinae. Canadian Journal of Zoology 82:516-524. When and Where Were Camels Domesticated?